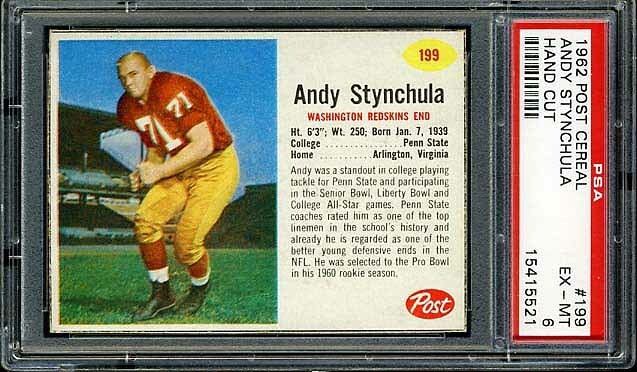 These cards appeared on the back of Post Cereal boxes in 1962. 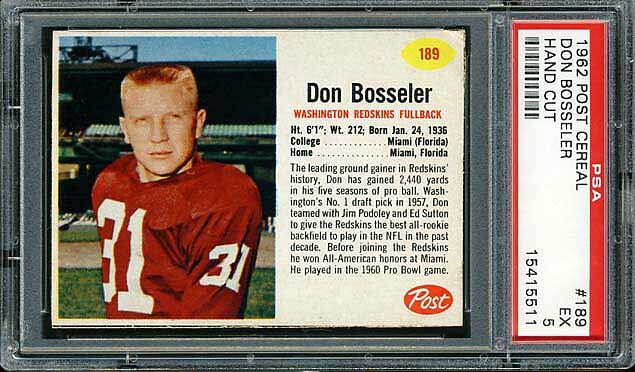 Below is the complete Redskins team set. 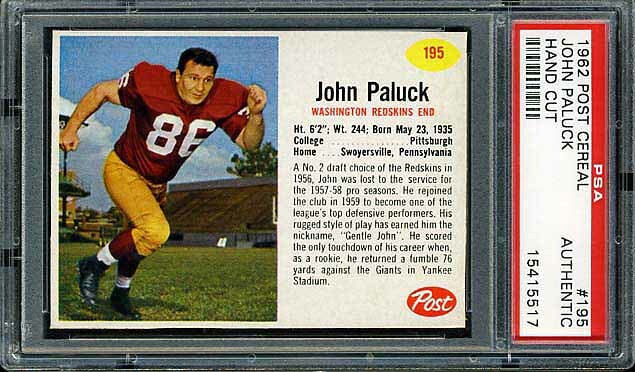 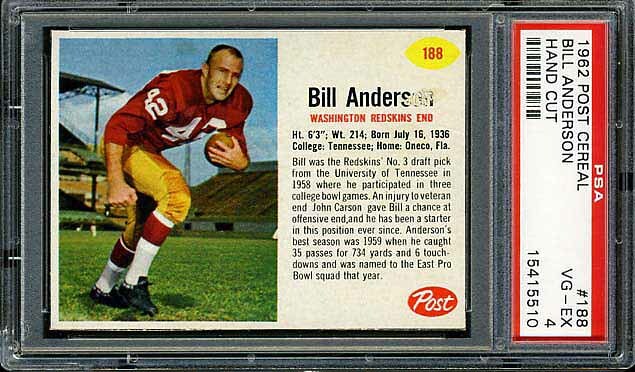 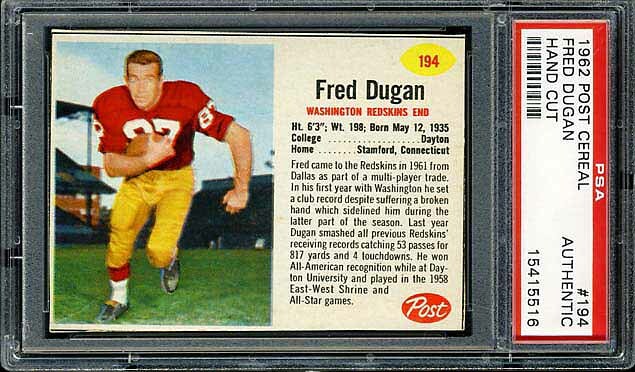 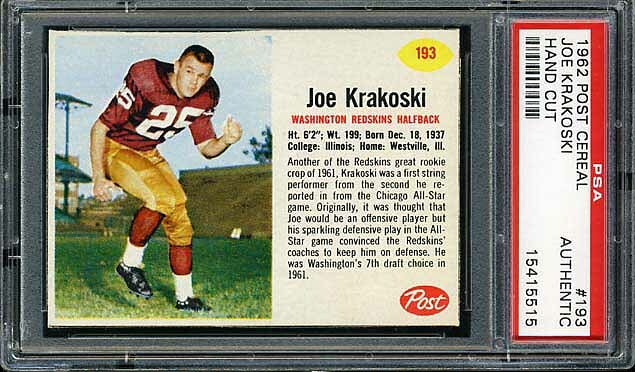 The key Redskins football cards are the short prints of Bill Anderson and Joe Krakoski. 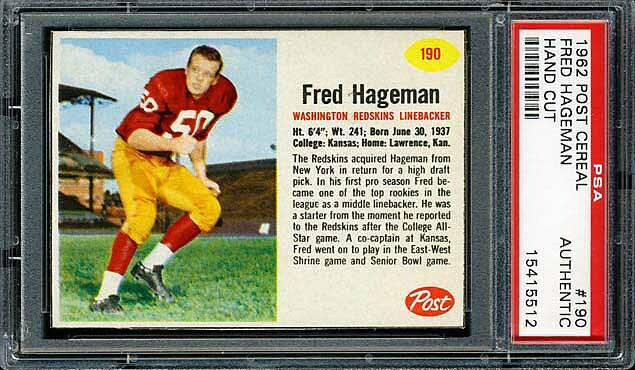 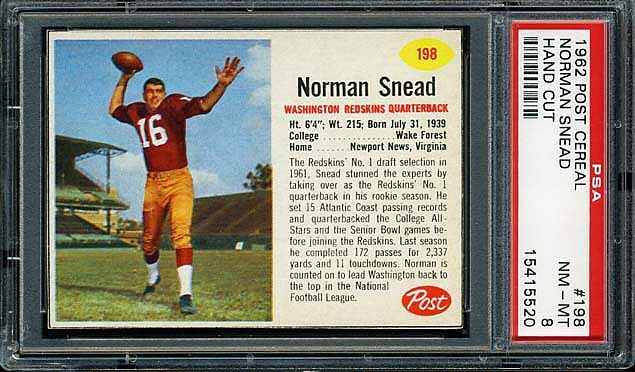 Norm Snead also appears in this set as a rookie. 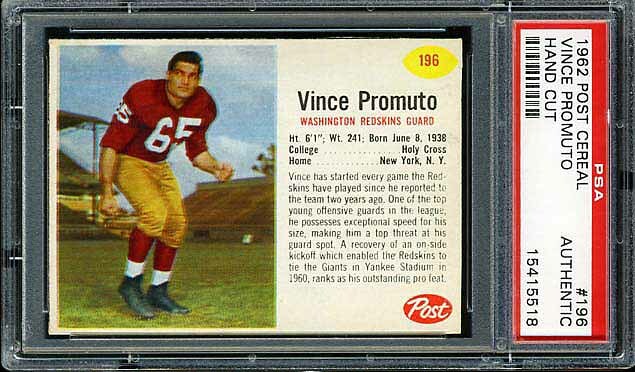 Besides the cards, Post also put instructional booklets inside the boxes. 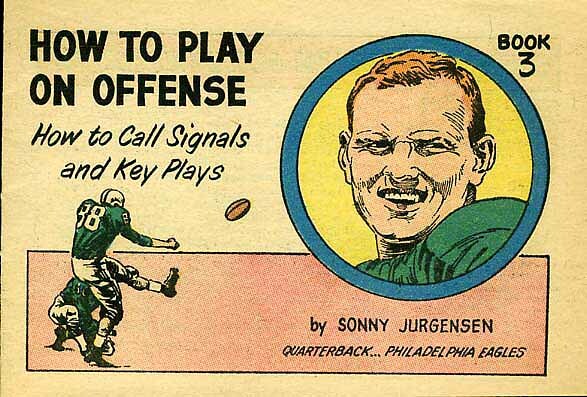 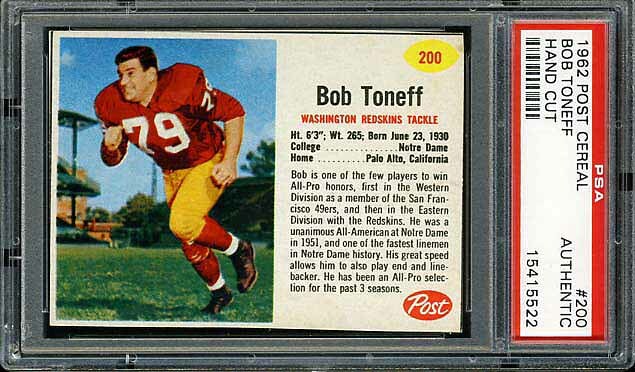 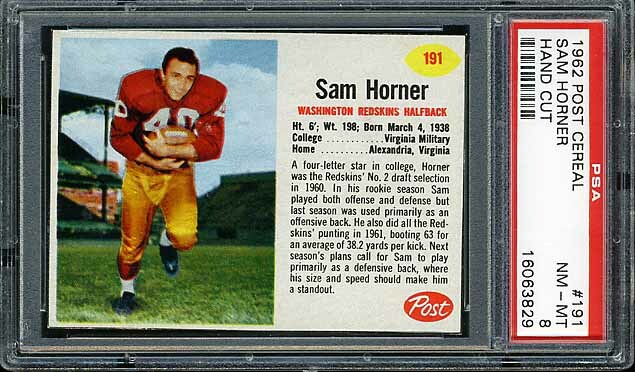 Below the cards is a booklet that features not-yet-a-Redskin Sonny Jurgensen. 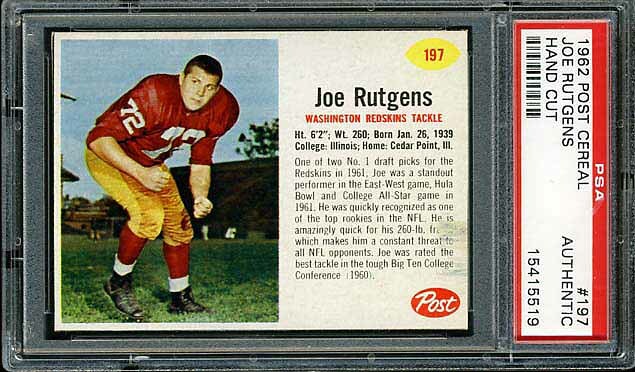 This set below is complete, but needs a lot of upgrades. 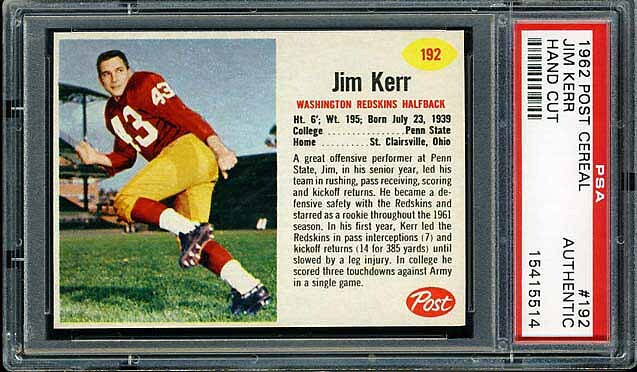 Please contact me if you have any.